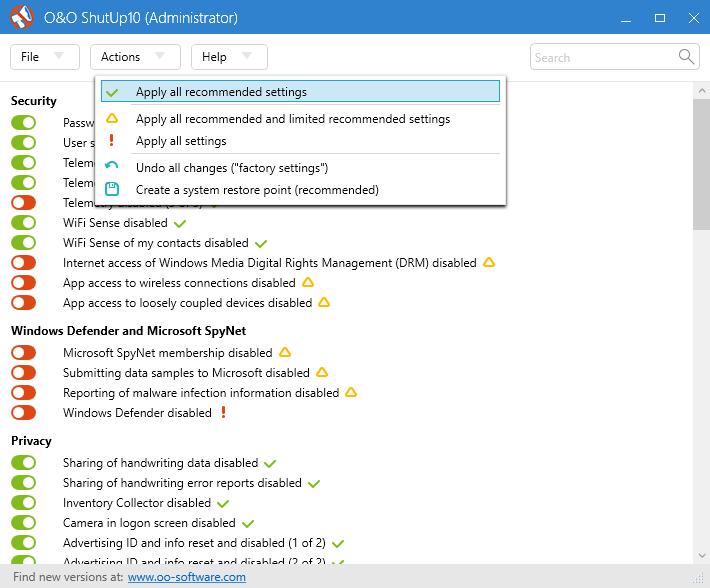 “Shut up, Windows 10” is a free must-have tool to protect your privacy. Every listed setting can be clicked to reveal a full description of what toggling it on/off implies. The actions menu has an easy to use recommended defaults.